In 1822 Pietro Bazzanti took over the workshop established on 1815 by Luigi Bozzolini, the last heir of an ornamental sculptor family who had been in the employment of the noble Corsini family since the 17th century. 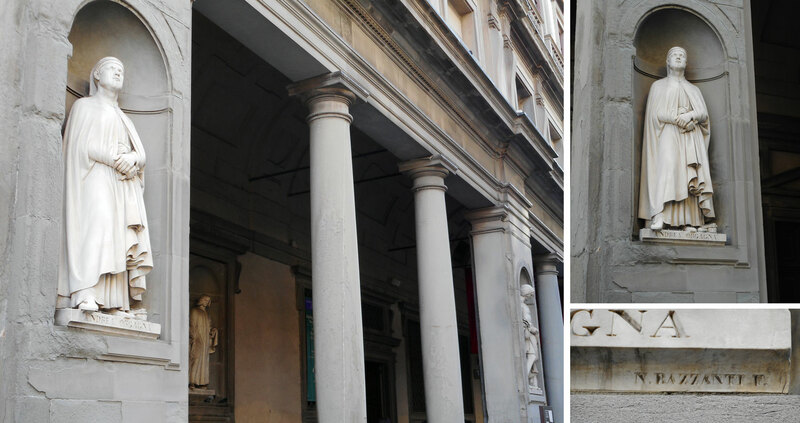 The first mention of The Bazzanti Art Gallery is to be found in the 19th century guidebooks to Florence where it is described as a “space with a large window on the Lungarno with a sculpture atelier in the rear on Via del Parione”. Although the archives were destroyed during the disastrous floods in 1844 and 1966, an agreement signed on 1823 for the execution of a sepulchral monument in Great Britain is clear evidence that the Bazzanti Gallery has worked on foreign commissions from the very beginning of its activity. Unlike Pietro Bazzanti whose training took place within the workshop itself, his son Niccolò received his diploma from the Florence School of Fine Arts (‘Accademia di Belle Arti’) studying under Professor Carradori. During the twentieth century the Gallery underwent many change of ownership. It has managed to survive, at times with difficulty, and prosper through recessions and two world wars. With its acquisition by the Marinelli family, 1960 marked a year of rebirth for the Gallery. It became the Foundry’s showroom, adding marble works to the bronze sculptures. The workshop for sculptures was re-opened near the marble quarry and the fame of Marinelli castings served to establish the reputation of the Bazzanti Gallery internationally. Together with the Foundry, the Gallery is once again a cultural center and meeting place for artists and sculptors, who keep alive the ancient artisan techniques of marble and semi precious stone workmanship. Niccolò Bazzanti was one of the first to be included, in 1834, among the artists called to sculpt the statues for the series of the 28 Illustrious Tuscan Men destined for the Uffizi gallery. He was asked to execute the sketch and in 1842 he finished the important sculpture that was placed in the first niche of the loggia.